We’re proud to have been among the first PMI Nutrition Certified LabDiet® Dealers in the country and we’re now also the largest. 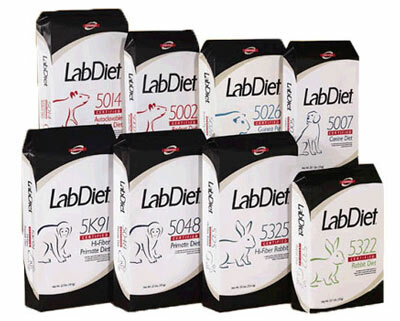 We offer the full range of LabDiet® and TestDiet® products as well as Mazuri® zoo diets. We also stock Zupreem and a variety of livestock feeds and pet foods. Our team can help you determine which diets will work best for you, from maintenance to breeding to custom research diets and diets for special applications such as imaging. All diets are tracked by manufacture date from the minute they roll off the production line until the moment they arrive at your door. Each bag of feed is individually inspected upon arrival at our facility to eliminate any damaged or non-conforming product. 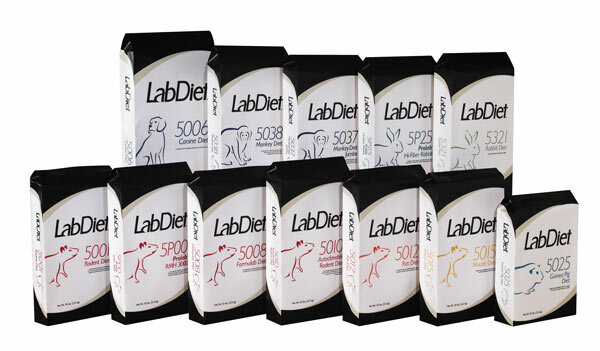 LabDiet® products have been the gold standard in research diets throughout the world for more than 70 years. Purina Animal Nutrition is a proven industry leader. 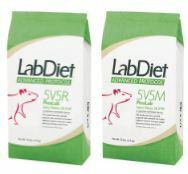 Manufactured under strict supervision in a drug and estrogen-free plant in Richmond, Indiana, all LabDiet® products provide the Constant Nutrition® control required for reliable research. PicoLab® and IsoPro® diets undergo an irradiation treatment process which assures you of reliable microbial control and virtually bacteria-free, sanitized diets. Both CapSack and Pico-Vac® packaging provide protection for the product during transportation. Once the outer packaging is removed, the inner plastic layer allows bags to be disinfected prior to use. The need for expensive and time consuming autoclaving is eliminated. Certified LabDiet® products can save you time and money in meeting the requirements of the FDA’s Good Laboratory Practices (GLP) program. They are assayed prior to shipment and each lot is certified not to exceed maximum concentrations of key contaminants. A certified analysis is provided for each manufacturing lot. 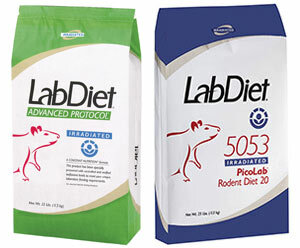 LabDiet® Select Verified Rodent Diets are well-researched, innovative formulas designed to meet the unique research requirements within your institution. They feature managed formulation to minimize nutrient variability with strict ingredient specifications for all formulations. They contain no fish meal or alfalfa and contain either no soybean meal or less than 2% soybean meal to reach specific levels of dietary isoflavones between 50-75 ppm. 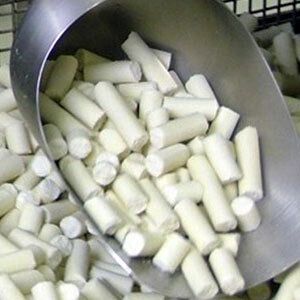 An isoflavone analysis is provided for each batch of product manufactured. When your research requires non-standard or custom formulas, PMI Nutrition’s TestDiet® division can formulate and produce virtually any kind of lab animal diet—custom grain-based and purified diets, standard grain-based LabDiet® products with added compounds, liquid diets, and tablets. 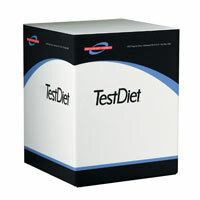 TestDiet® can duplicate any purified diet regardless of who manufactured it in the past. With over 100 years of experience, a comprehensive team of animal nutrition experts, and a state-of-the-art production facility, they’ll produce exactly what you require to obtain research data you can trust. Color coding of diets is also available. 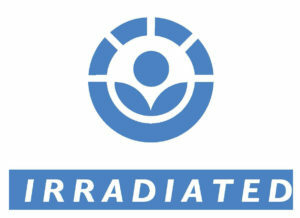 Although most custom animal diets cannot be autoclaved without damaging the diet, all custom diets can be irradiated at a nominal additional cost. 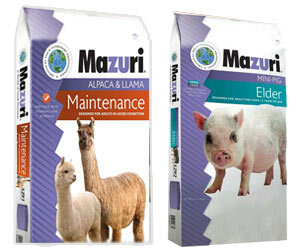 Mazuri® Exotic Animal Nutrition is a world leader in quality nutrition for virtually every living exotic animal. Since 1989, professionals, veterinarians, breeders and exotic pet owners have trusted their animals to Mazuri®. We stock a wide variety of diets and can special order non-stocked diets on short notice. 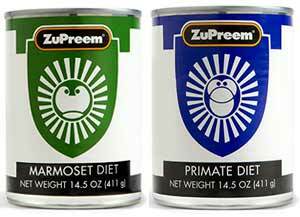 We also offer a variety of animal diets for domestic and exotic species including Zupreem®, Kaytee®, Abba, Triumph®, & Blue Seal®. We welcome special orders and requests.